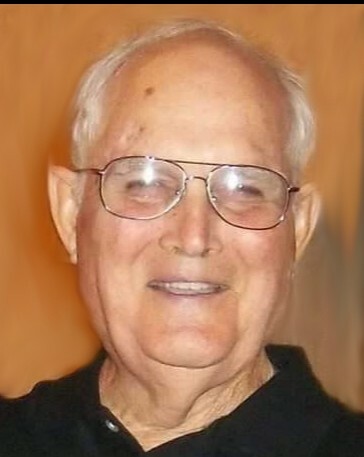 Weldon C. "Wimpy" Brechtel, Sr. age 85, passed away on Wednesday, September 13, 2018.
in a US Customs league. He most of all loved watching the horse races at the New Orleans Fairgrounds. Sadie Hale, Harper Manning, Colette Costa, Lorelai Johnson, and Glenn Hale, III. He is also survived by his sister, Iris Brechtel and brother-n-laws Morris Powell (Olga) and Glennon Powell (Connie) and many nieces, nephews and cousins. He is pre-deceased by his parents Warren C. and Jennie Ernst Brechtel, brother Warren J. Brechtel, Sr. (Marilyn). We would also like to thank the wonderful nurses and staff at Wynhoven Healthcare and Notre Dame Hospice for providing him with loving care. Relatives and friends are invited to a Memorial Service at Greenwood Funeral Home, 5200 Canal Blvd., New Orleans, LA 70124 on Monday, September 17th visitation will begin at 11:00 am and a Funeral Mass to be held at the funeral home at 1:00 pm. Burial will follow at Greenwood Cemetery. In lieu of flowers, please make donations to The American Diabetes Association.